Dreams serve as windows. Not necessarily to the future but to our inner selves. As such, they can offer clues to issues that have not been adequately resolved or acknowledged in our waking hours; they can also serve as subconscious warnings or reminders and as outlets for repressed fears or desires. The Complete Dream Journal helps you tap into the insights and wisdom of your dreams by assisting you in recalling, recording, and interpreting them. 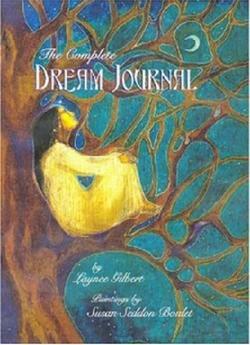 The Complete Dream Journal is handy for anyone who wonders what the messages mean in their dreams. So many times we forget what the dream was about once we get on with daily life. This is a way of capturing those thoughts and then being able to review them together to learn from them.